■ 48 x SFP+ switch ports, supporting 10 GbE (DAC, 10GBASE-SR/LR) or 1 GbE (1000BASE-T/SX/LX). ■ 4 x 40 QSFP+ switch ports, supporting 40 GbE (DAC, 40GBASE-SR4/LR4) or 4 x 10 GbE (DAC or fiber breakout cable). ■ Swappable fan tray with 3:1 fans. ■ Energy Efficiency: 170 W typical power consumption. ■ Compatible with Cumulus®Linux® r2.0.1 and later SwitchOS software from Cumulus Networks™. 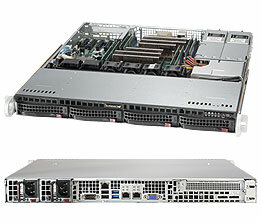 The Edge-Core AS5610-52X hardware switch meets the high-performance, availability, and network-scaling requirements of enterprise and cloud data centers. 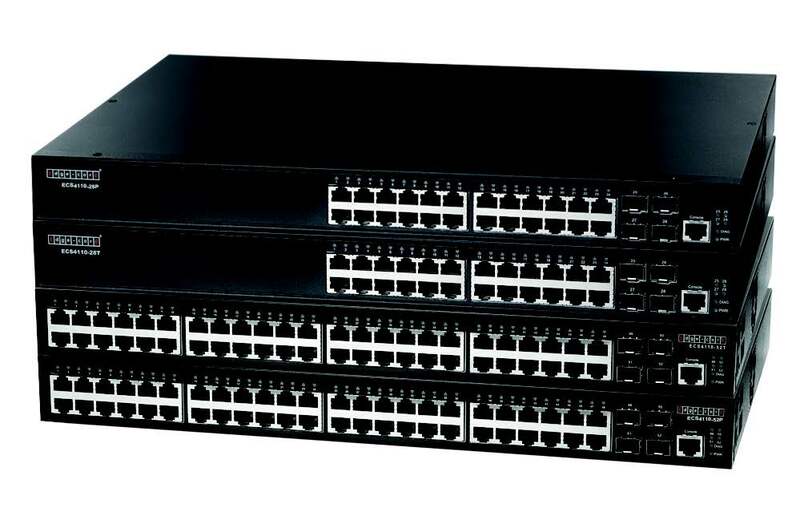 The AS5610-52X provides full line-rate switching at Layer 2 or Layer 3 across 48 x 10 GbE ports and 4 x 40 GbE uplinks. The switch can be deployed either as a Top-of-Rack switch, or as part of a 10 GbE or 40 GbE distributed spine, forming a non-blocking folded CLOS data center fabric. The AS5610-52X hardware is designed for data centers, with a high port density of 64 x 10 GbE in a 1 RU enclosure; redundant, hot-swappable, load-sharing AC or -48VDC PSUs, or 12VDC power input; fan tray with n+1 redundant fans; and port-to-power or power-to-port airflow options.